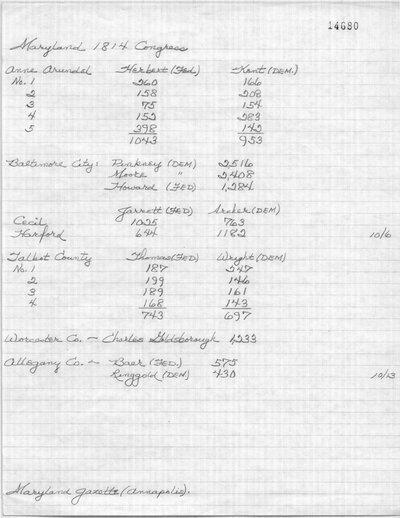 The Original Election Returns and Certificates list 1071 votes for Charles Goldsborough. 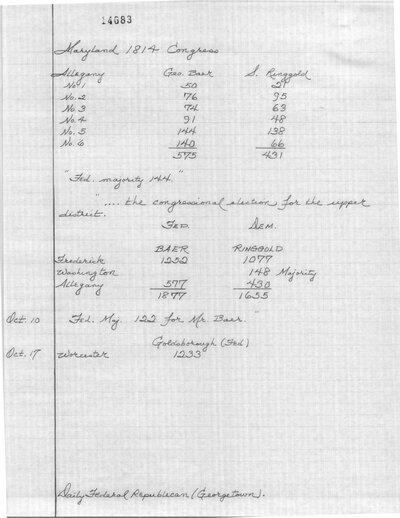 The Maryland Gazette and Daily Federal Republican list Charles Goldsborough with 1233 votes. Maryland Gazette and Political Intelligencer (Annapolis, MD). October 13, 1814. Frederick-Town Herald (Fredericktown, MD). October 15, 1814. Daily Federal Republican (Georgetown, DC). October 17, 1814. Federal Republican (Georgetown, DC). October 21, 1814.